TD School for android and windows. Two players are competing against each other to see who can withstand the waves of monsters for longer. 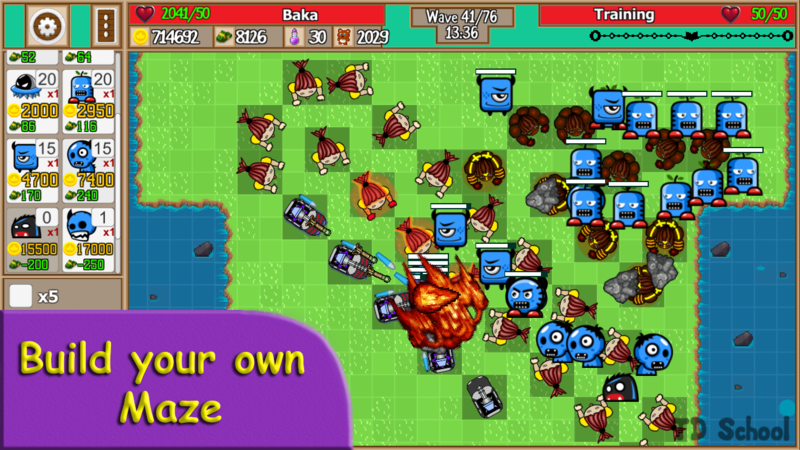 Your goal is to prevent monsters from crossing the map and arriving at your destination. Each monster that completes the path will make you lose life, the player who loses all their lives first loses the game. 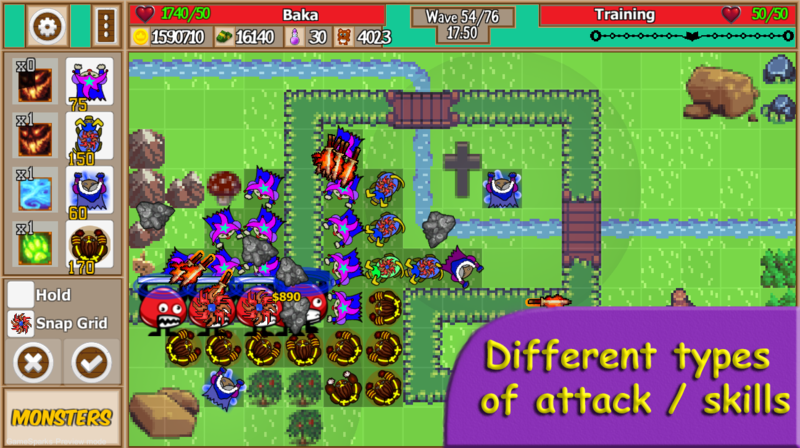 To protect yourself from attacks you must place towers in strategic positions on the map Towers can be upgrade to become stronger To make the competition more interesting you can send monsters to your opponent to defend yourself See the learning area of the game for more tips.